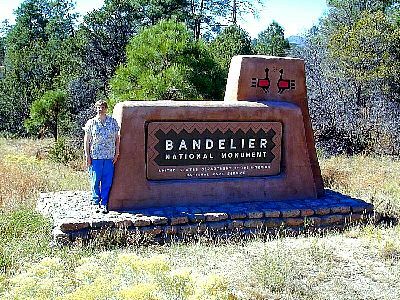 Mom beside the entry sign to Bandelier National Monument in New Mexico. 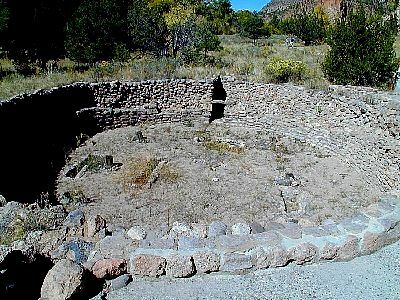 The Big Kiva in Frijoles Canyon at Bandelier National Monument in New Mexico. 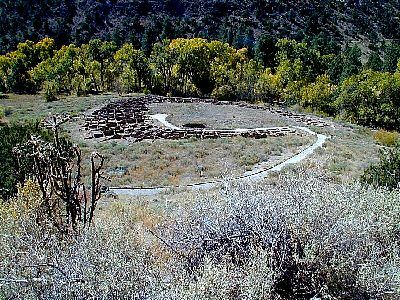 Kivas were/are primarily used for religious activities. Mom in the background at the Big Kiva in Frijoles Canyon at Bandelier National Monument in New Mexico. 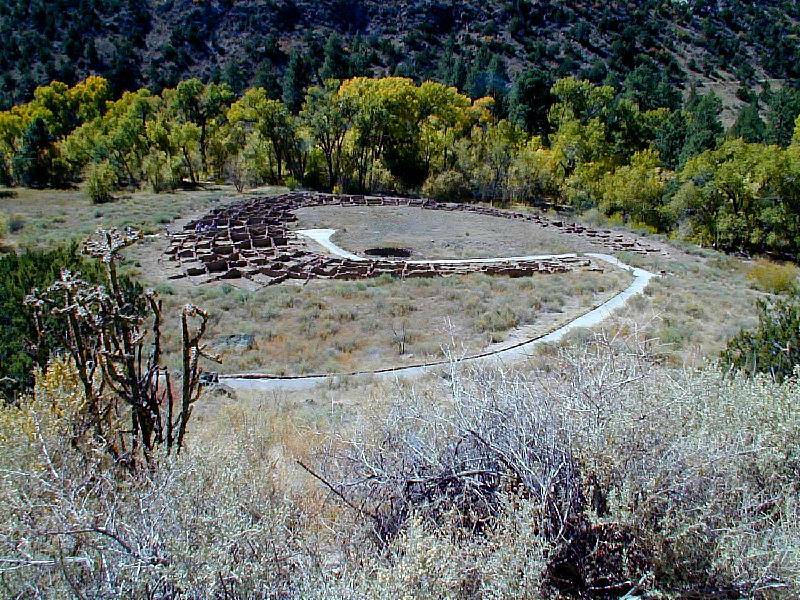 Kivas were/are primarily used for religious activities. A view of the cliffs in Frijoles Canyon at Bandelier National Monument in New Mexico. 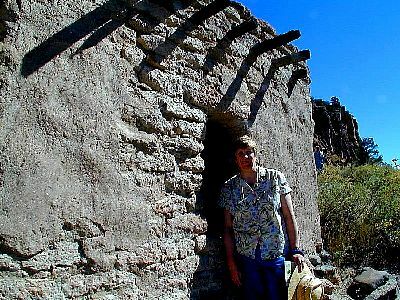 In the late 1100s AD, and lasting for about 500 years, the Anasazi (Ancient Ones) Indians lived in a huge high-rise complex of pueblo dwellings and caves along the cliff face. 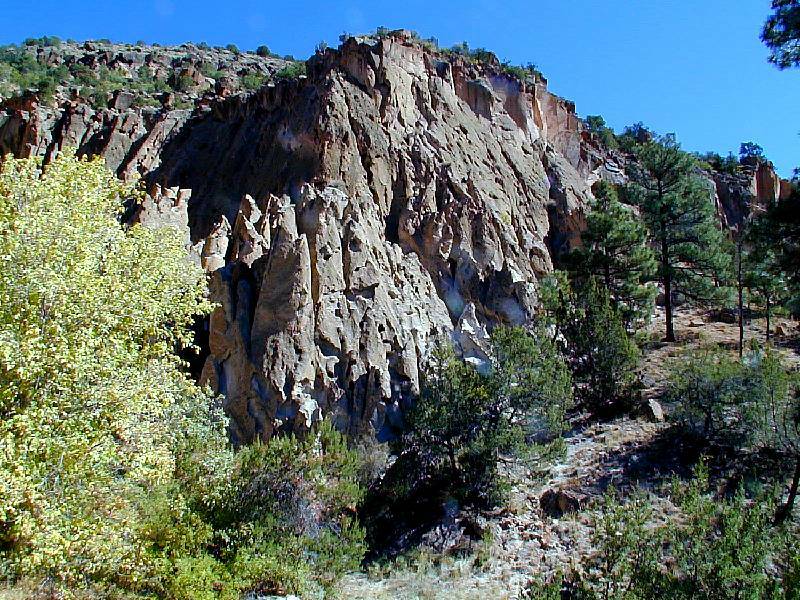 Rock cliffs in Frijoles Canyon at Bandelier National Monument in New Mexico. 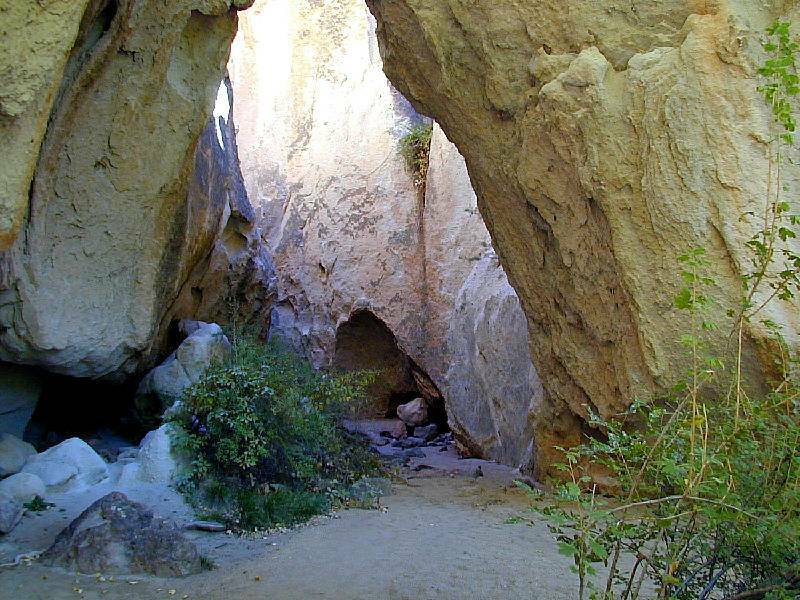 An ancient cave dwelling in Frijoles Canyon at Bandelier National Monument in New Mexico. A view looking down on the ancient village of Tyuonyi Pueblo complex in Frijoles Canyon at Bandelier National Monument in New Mexico. 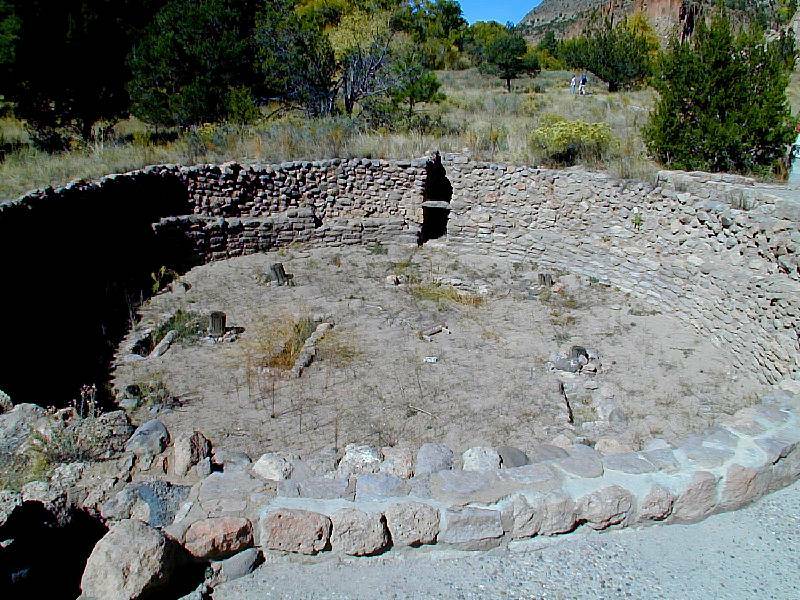 At least 2-stories high, it contained 400 rooms and housed about 100 people. Mom climbing to one of the cave rooms in the dwellings in the cliffs in Frijoles Canyon at Bandelier National Monument in New Mexico. 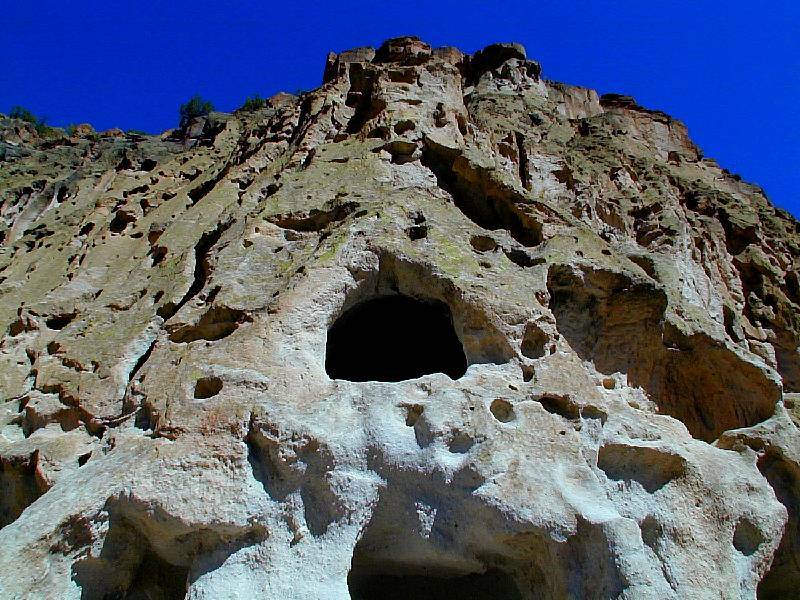 The caves were carved out of the soft rock. 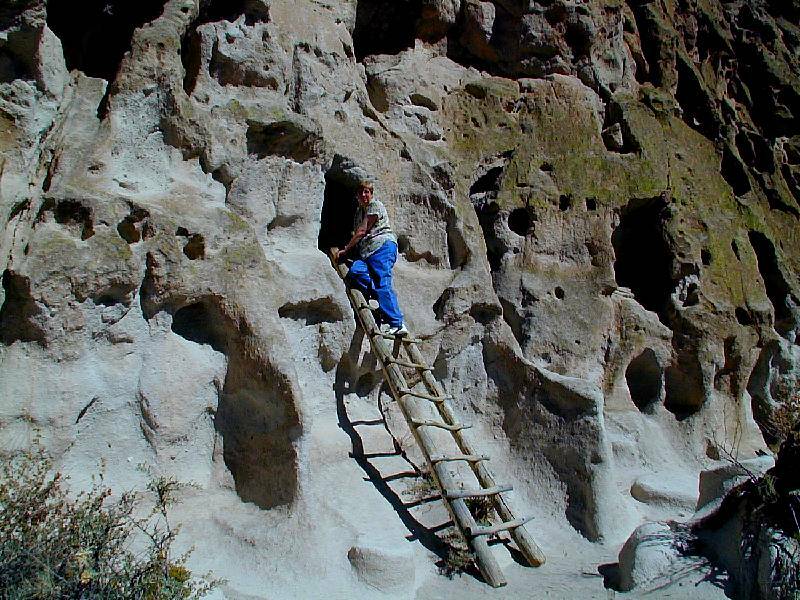 Mom in one of the cave rooms in the dwellings in the cliffs in Frijoles Canyon at Bandelier National Monument in New Mexico. 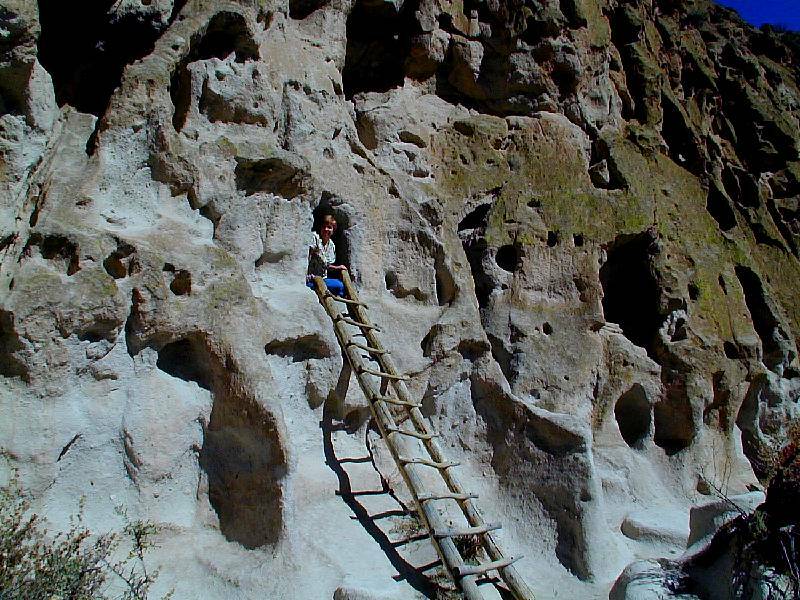 The caves were carved out of the soft rock. 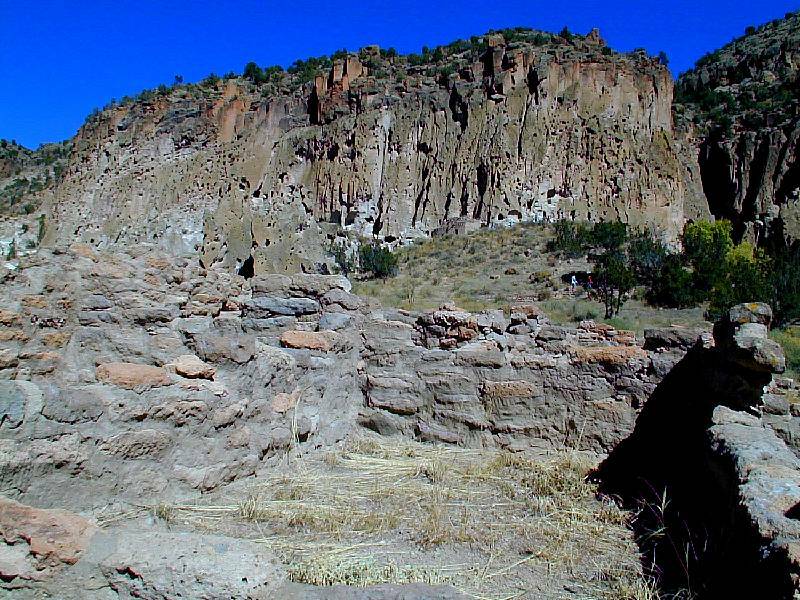 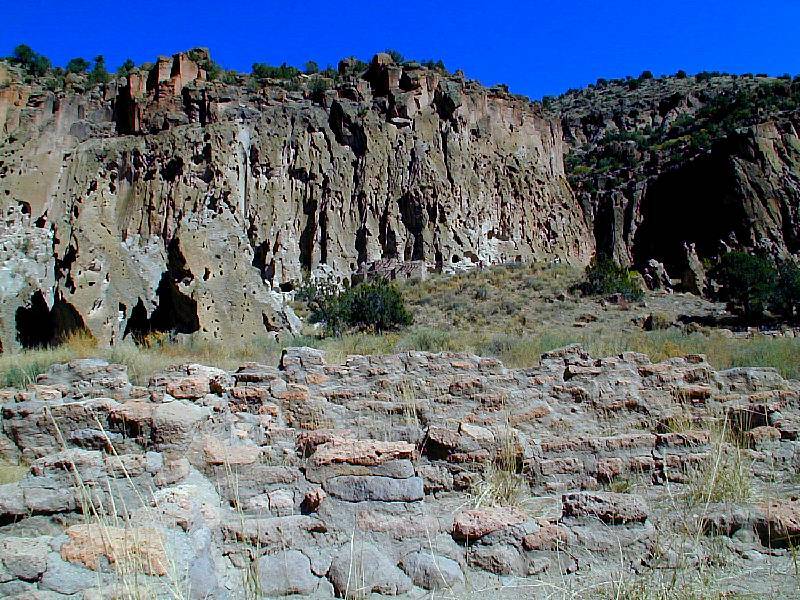 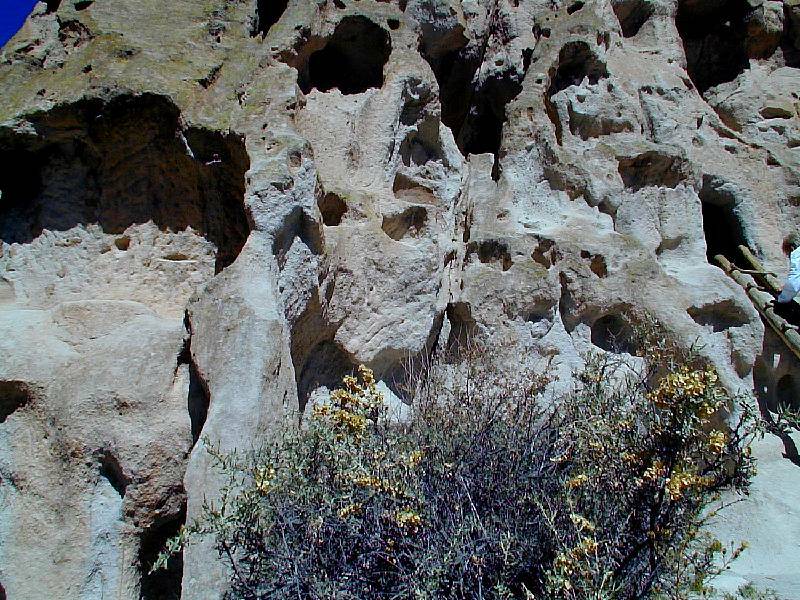 A closeup view of the cliffs containing cave rooms for the ancient dwellings in Frijoles Canyon at Bandelier National Monument in New Mexico. 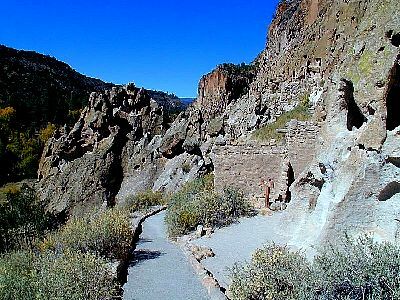 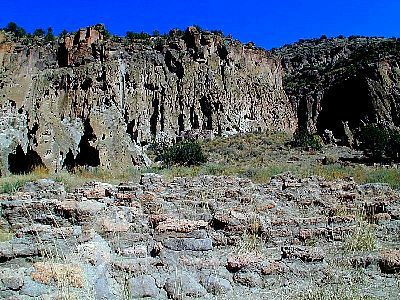 The path along the base of the cliffs containing cave rooms for the ancient dwellings in Frijoles Canyon at Bandelier National Monument in New Mexico. Mom by the reconstructed Talus House along the base of the cliffs in Frijoles Canyon at Bandelier National Monument in New Mexico. 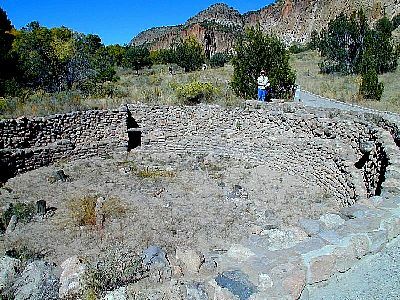 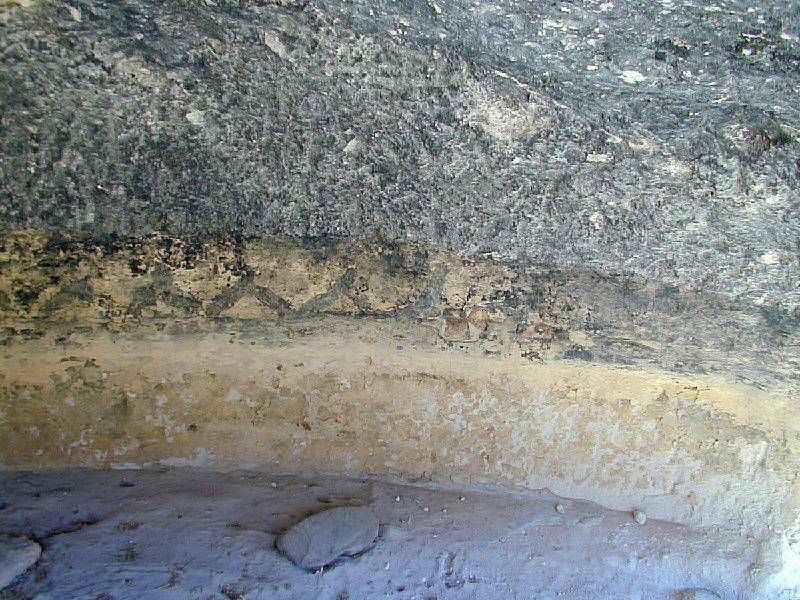 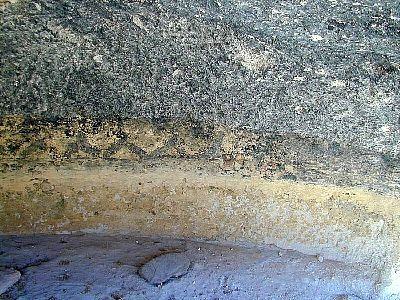 The back wall of a kiva showing the black zig zag design representing the "feathered serpent". 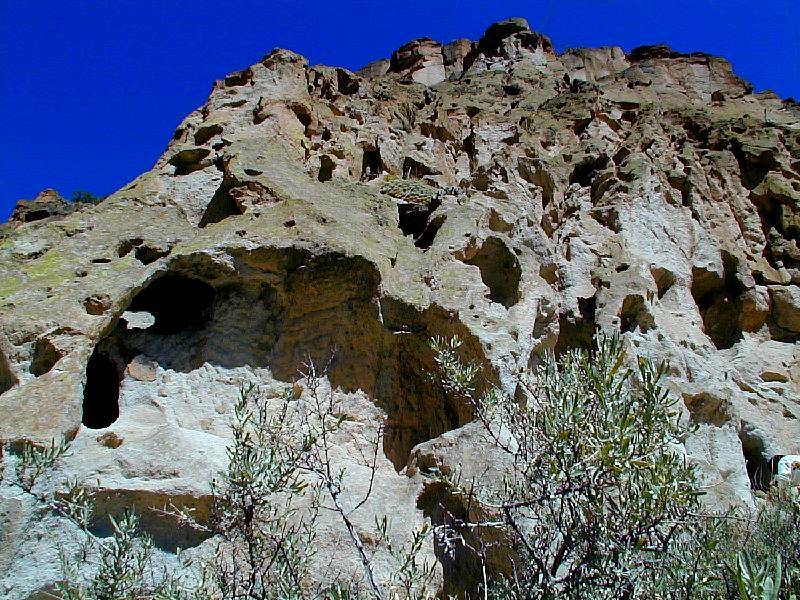 Professional Headshots NYC and Corporate Business Headshots at http://www.ceoportrait.com/corporate-headshots-photography/ LinkedIn photography in New York. Modern photo studio in Midtown Manhattan.